VISIT OUR BATHROOM & BEDROOM SHOWROOM SITUATED CAMBERLEY TOWN CENTRE WITH FREE CUSTOMER PARKING. 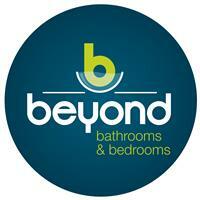 Beyond Bathrooms is a successful award-winning family-run company established since 1971. Our experienced staff can provide you with a free expert design service using Virtual Words software, which is a fantastic way to help you visualise your new bathroom or fitted wardrobe before any work commences. We offer a competitive supply only service or a bathroom design, bathroom supply and bathroom install. So, whether you are looking to simply purchase a new product or carry out a complete refurbishment we can help. For design, supply and installations services, we can carry out a home visit to gain an understanding of your requirements and take down measurements. Working together with you we can then create a design tailored to your requirements. We project manage from start to finish so you can just sit back and relax until your new bathroom or wardrobe is ready.